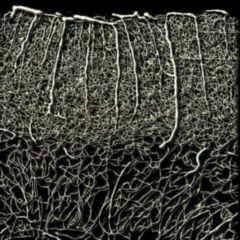 Pattern recognition algorithms make it possible: researchers match up the individual brain lesions with the lost abilities of stroke patients suffering attention disorders in such a way that they can now make predictions about their regenerative recovery. “With which kind of damage will I have to live in the future?” This question is heard every day by physicians who treat stroke patients. Making confident predictions, however, is impossible even after many years of experience in treatment. In a general sense: the younger the patients are and the lower the damage caused by the stroke, the greater the chances that the manifested disability will at least partially decrease with time. This is a vague statement that is satisfactory neither for the patients and his or her relatives, nor for the treating physicians. The capacity to be attentive is not an automatically present one, but an active performance of the brain. Scientists under Prof. Karnath from the Tuebingen Centre of Neurology, as well as researchers from the U.S., have succeeded in a joint study of stroke patients in making visible the brain network which accounts for attention in humans. With this aim in mind they used a new method which had originally been developed for independent learning in robots and other machines. Multivariate pattern analysis (MVPA) is the name of the method which allows robots not only to learn something simply and stubbornly by heart, but to independently “understand” principles. 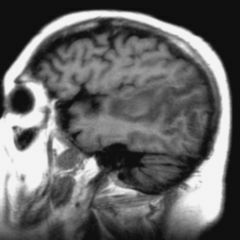 In order to gain new insights in the understanding of brain function in humans, the researchers fed their computer network with the CT and MRI images derived from 50 patients who had suffered a stroke. Some of them suffered from problems of attention and others by contrast did not. The algorithms used by the scientists then sought out whether within this big and confusing collection of varied individual sets of brain damage a typical pattern could be “seen” which would be present wherever an attention disorder had resulted. The researchers did not define to the computers what was supposed to have been being sought out; they combined for months all possible variants and independently assessed whether there was something definable being “recognised” there. In the right hemisphere, the researchers eventually made the find and were able to make the brain network appear that was always damaged when stroke patients suffered from attention defects. This area apparently gives humans the ability to pay attention. Using this method, the scientists are now trying to make predictions about the clinical progression of stroke patients. “Using our method we can predict how likely it is that a chronic failure of the disturbed function has occurred”, says Karnath. 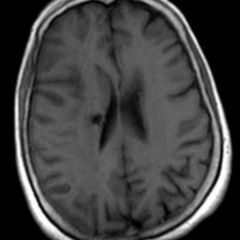 In addition members of the group under Prof. Karnath compare MRI or CT scans and functional testing of their stroke patients made at the time of admission to the hospital with the same data one year after the stroke. Here the researchers have come across the typical lesion pattern that is associated with a persistently poor attention performance. 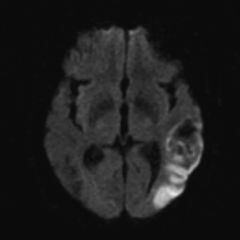 The comparison with the MRI or CT scans, and the abilities of the patients one year after the shock event, provided the pattern-recognition algorithms with enough data to be able to look into the future of the patients: “We can by analysing the radiographs for newly arrived stroke patients already now make a statement, as to whether their deficits will likely decrease with time or not”, says Karnath. Scientists are currently in a second study checking how reliable such a prediction would be. In it, they focus on the previously discovered “attention region” in the right hemisphere. “We examine new patients for how well our predictions on chronic progression of a function failure correlate with new patient data”, explains Prof. Karnath about the follow-up study. “If the correlations are high, we then know the brain regions which must not be damaged under any circumstances in order to avoid developing a chronic disturbance in attention”, says Karnath. In two years the reliability of the new prediction method will be conclusively verified. This successful approach can be broadened: “Our method is of course not just limited to attention problems”, says Karnath. “It can be applied to all functional deficits after stroke.” Karnath and his team also want to devote themselves in the future to other higher level brain functions.